I arrived in Philadelphia at 10:30 and took a shuttle to the hotel. The staff was wonderful! My room was ready and they were able to give me a 1pm late checkout. Plus, they would have breakfast available beginning at 6am on Sunday morning. I wasn’t planning to purchase anything at the expo. 🙁 I bought 5 packets of Gu (Salted Caramel is DELICIOUS), a running skirt, sandals (very comfortable) and a shirt. 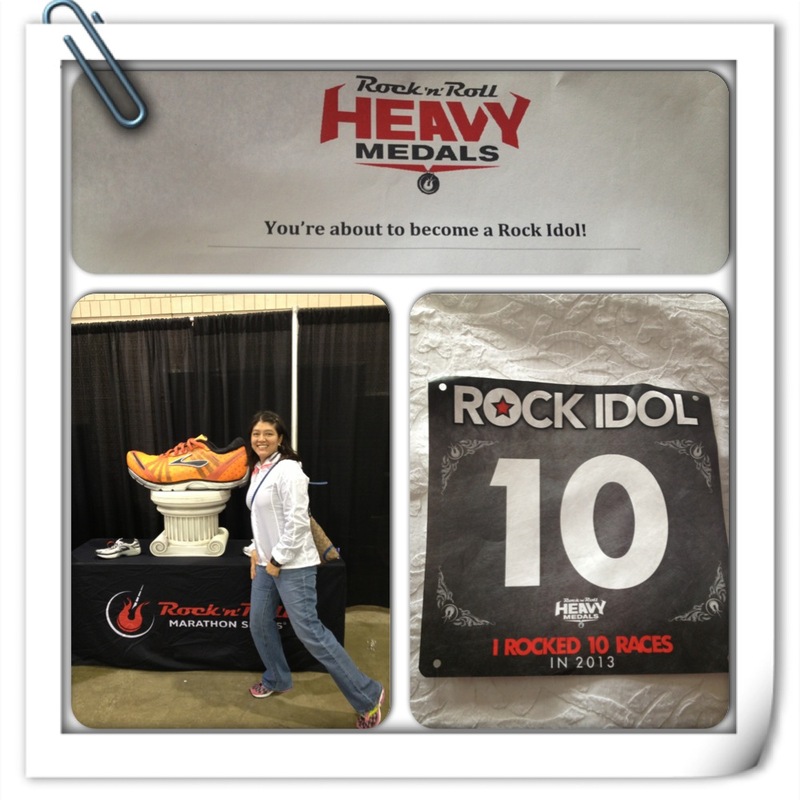 When I picked up my packet there was also a letter congratulating me on achieving Rock Idol status and an extra bib. Afterwards I had lunch and then made my way to the Philadelphia Museum of Art. Of course I had to get a picture with the Rocky Balboa statue and walk up the stairs of the museum. Race day came and I got ready. My coffeemaker in my room was broken so I went downstaris to the lobby for coffee. There were a lot of people having breakfast and I kicked myself for not waking up earlier to eat downstairs. I got ready, went to the bathroom, and made my way to the start line. It was chilly in the morning but I am so glad I did not wear my long sleeve shirt. I had to go again to the bathroom but the lines were RIDICULOUS. The race was sold out but there weren’t enough bathroom. I waited in line for about 45 minutes before I was able to use one. By then it was almost 8:30 so I made my way to the start line. The race began by the Philadelphia Museum of Art. The first few miles we ran through Philadelphia. There were so many people out there cheering for us. The weather was perfect and I was in my own little zone just running. I told myself not to stop and walk. There isn’t anything wrong with walking but I just wanted to run as much as possible in this race. Anytime I felt like I wanted to stop, I ran a little slower. The only times I stopped were during the water/Gatorade stations. The water stations by mile 3 and 5 were disappointing. I appreciate all of the volunteers that help out during a race but I was just a little disappointed today. In mile 3 the Gatorade was straight (concentrated) from the bottle and in Mile 5 there were only empty cups on the table. The volunteers were scrambling to fill as fast as possible the cups. I did feel bad for them but man I was thirsty and I wanted water! The rest of the water stations were fine. We ran past the museum again and then it was straight running along the Schuylkill River. It was shaded, flat, and peaceful. The river was long. I knew there was a turn around point coming up because I could see runners on the other side of the river. Whew, finally I saw it and I walked for a few moments as I drank my water. Now it was time to finish the race with about 4 miles to go. The race ended at the museum as well. There were so many people there cheering. I slowly went up a slight incline and made my way to the finish line. Done! My finish time is 2:24:06. I am proud of myself because I took minimal breaks and ran through most of the race. I liked the race very much and if you are looking for a race in Philadelphia then this is the race to do. After the race I walked back to the hotel to shower and change because I was meeting a friend for lunch. He was picking me up at noon at the hotel. We went to a great place “Marathon” where I quickly ate a Spicy Buffalo Chicken Sandwich. I was hungry. 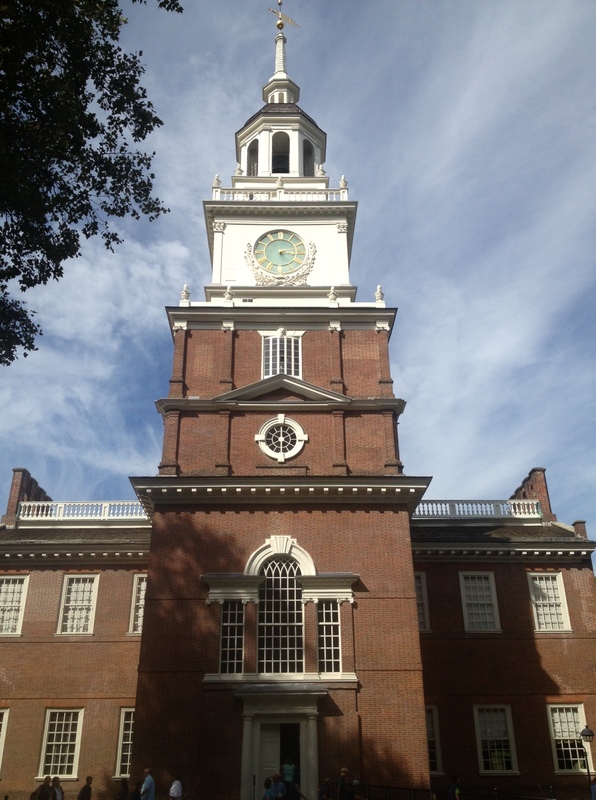 Then afterwards I went to Independence Hall and to Liberty Bell Center. 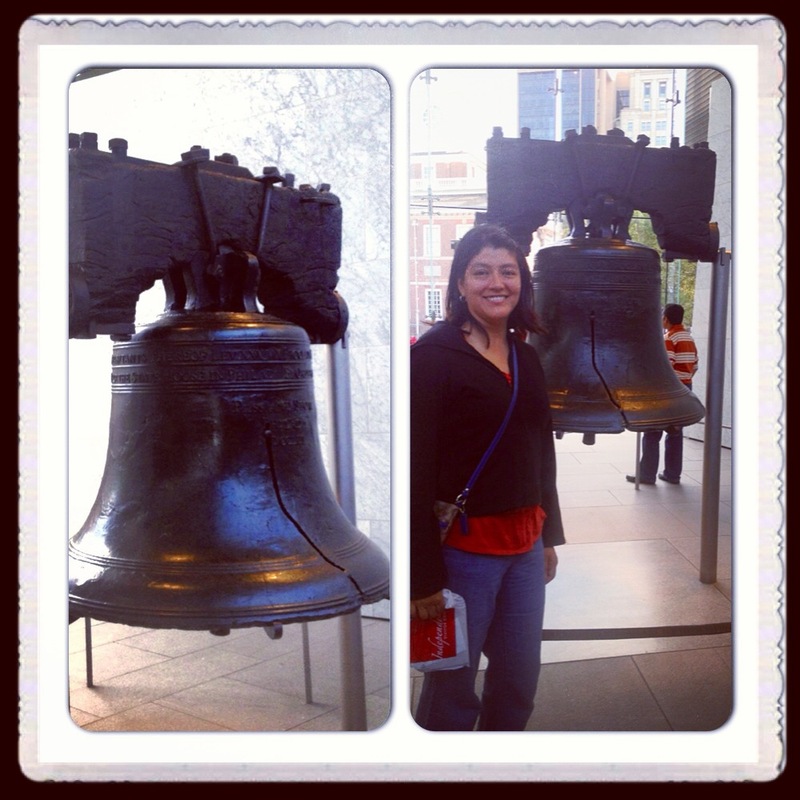 I had a great time in Philadelphia and will definitely visit again. Next race is Omaha Half Marathon on Septemeber 22. I am looking forward to this race because I get to see my running buddy, JB. I found it at the expo but let me tell you that I will definitely buy more at my next one. WAY TO GO on a FANTASTIC race! YOU KNOCKED IT OUT OF THE PARK!!! WOO HOO!!! 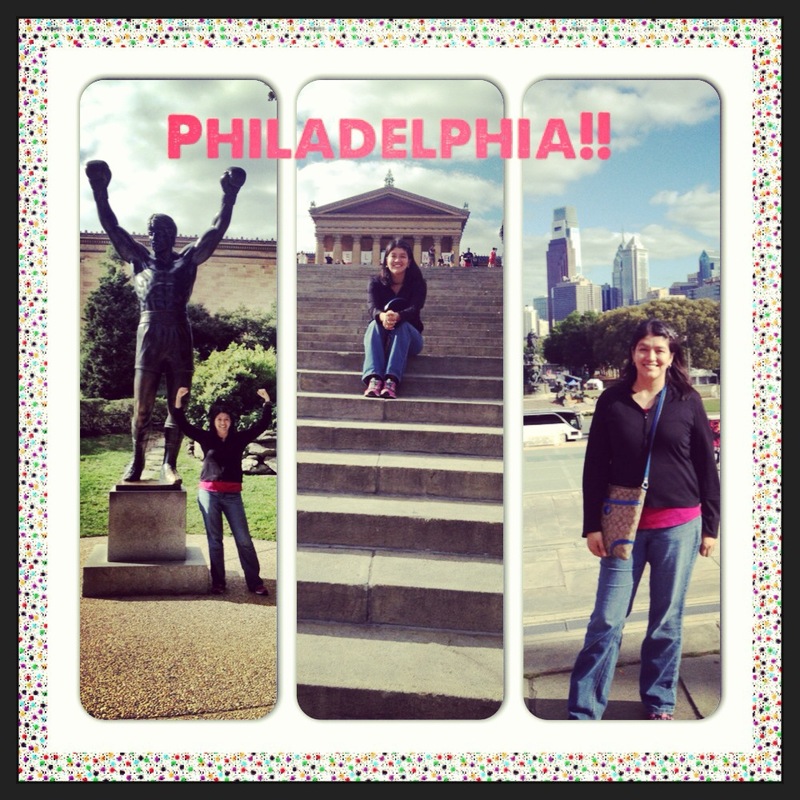 I’ve heard great things about RnR Philly and I loved seeing all the pictures. The Rocky picture on the stairs is a classic!!! 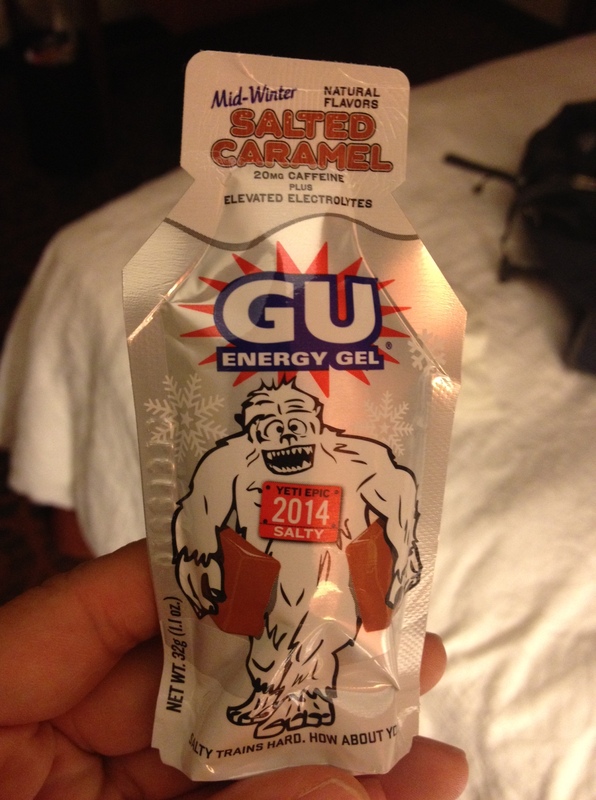 That salted caramel GU sounds awesome!!! I can’t wait to try it! Definitely a race for you next year.